Hey everyone!!!! Welcome back to the Feature Friday Link Party!!! Well, today it’s just a Feature Friday, no link party. Why!? Because Brooke and I are working on a special event for our Feature Friday Link Party, which is launching next week & we didn’t want to stretch ourselves too thin. What is the Summer Linkylympics, you ask? So, in Feature Friday tradition let me share with you my favs from last week’s linky party! We had a tiny party this week, but a lot of QUAL-I-TY posts! I’m not kidding, I had such a difficult time picking my favs. But here is one of my favs, it comes from Katy over at A Shade of Teal. I’m telling you, this woman is one to watch. She has so much talent radiating through her, everything she touches turns out just brilliant! && I’m so happy to call her my blog friend! My other fav came from Jennie at Little Girl Designs. 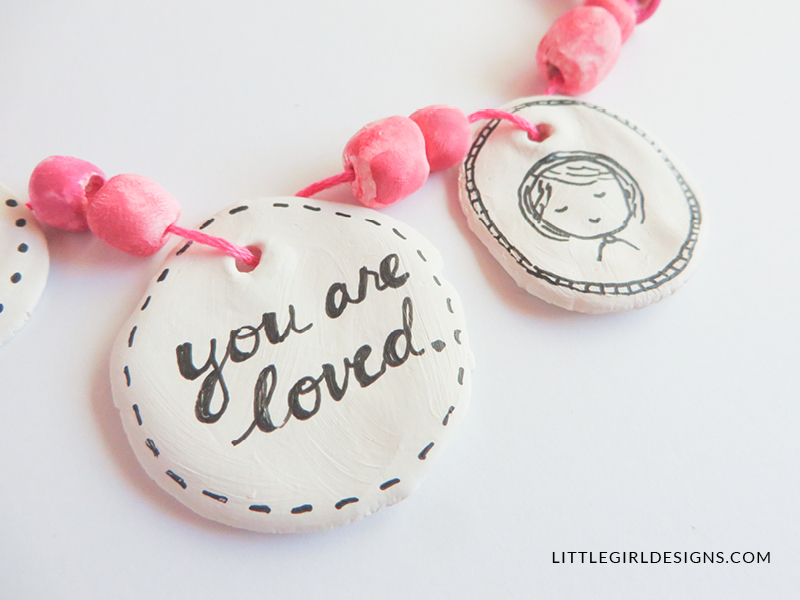 I love this little clay bead craft, and it seems like a great project to do with my nieces. I’m so excited to try it out! Don’t forget to check out Brooke’s blog to see who else was featured! And if you were featured, grab our button! & since I had so many favorites, here are the rest of the awesome links that linked up last week! Be sure to check them out!! Thanks so much for stopping by this week! Make sure to pop in through the week to see what this Linkylympics is all about. I promise this is going to be something you won’t want to miss!